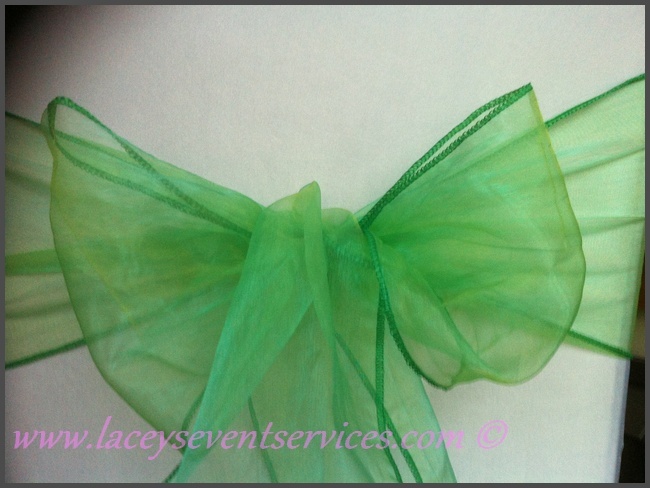 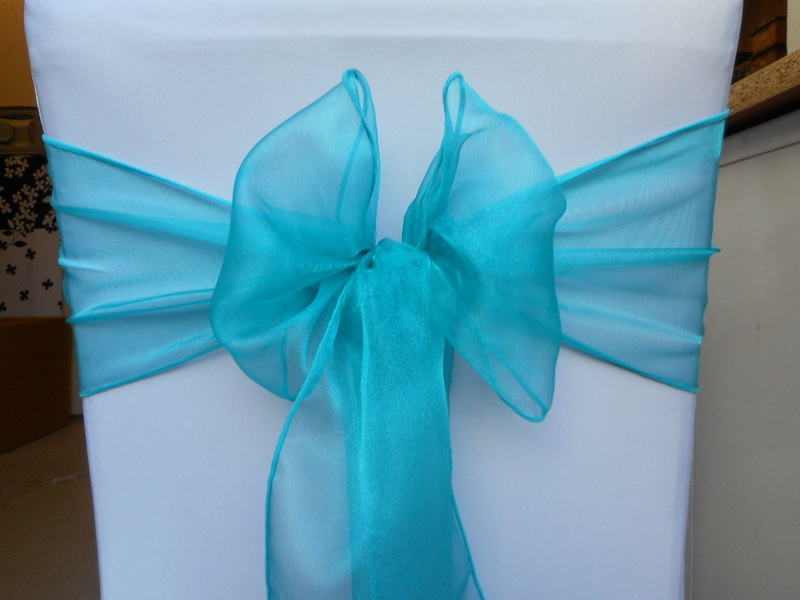 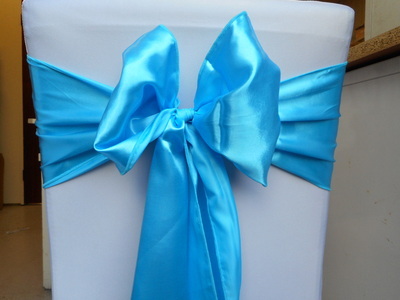 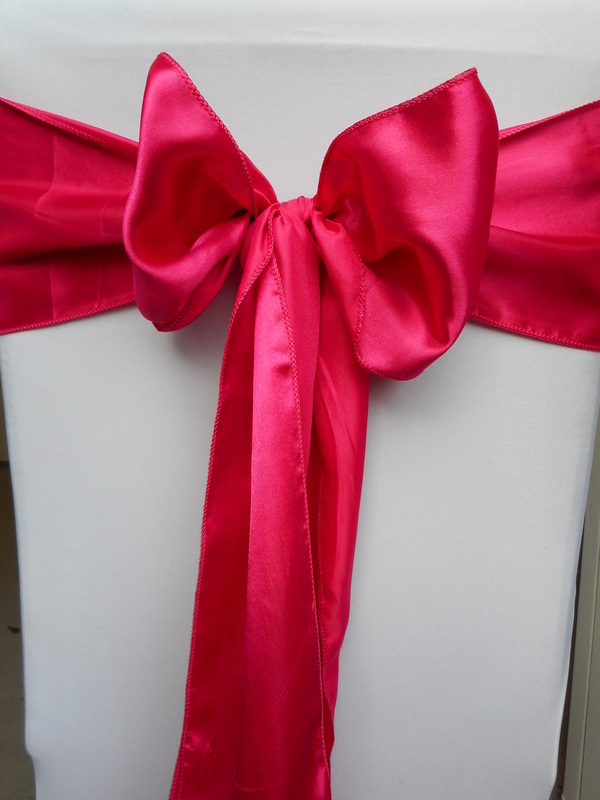 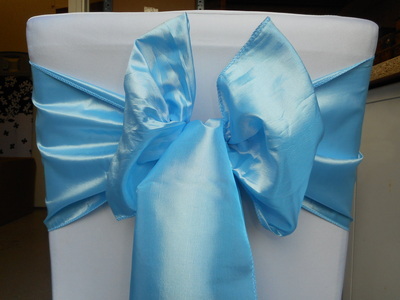 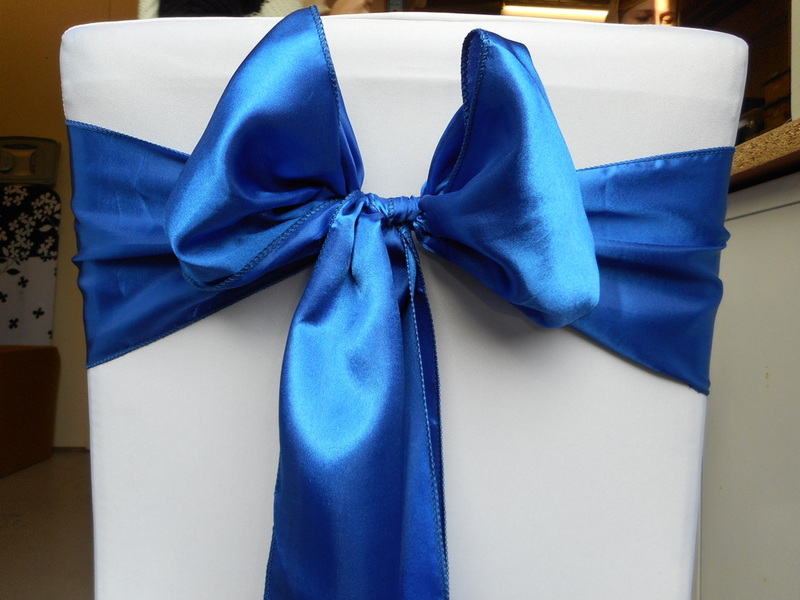 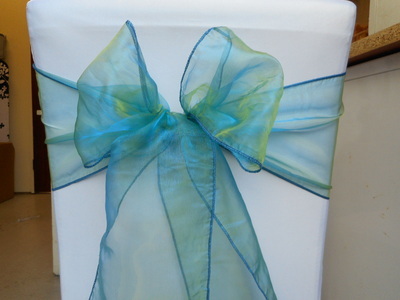 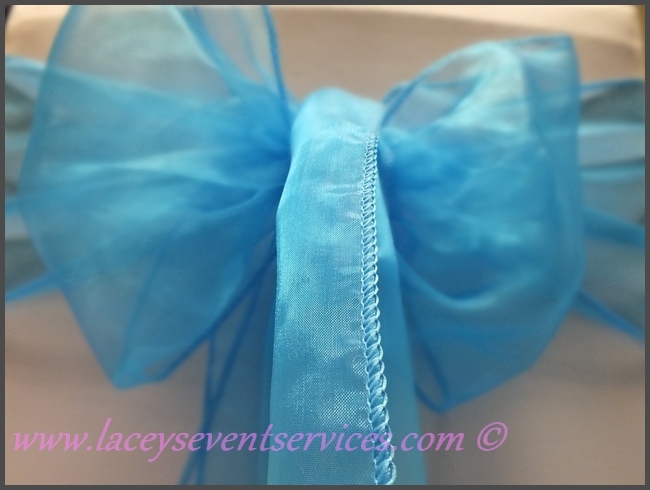 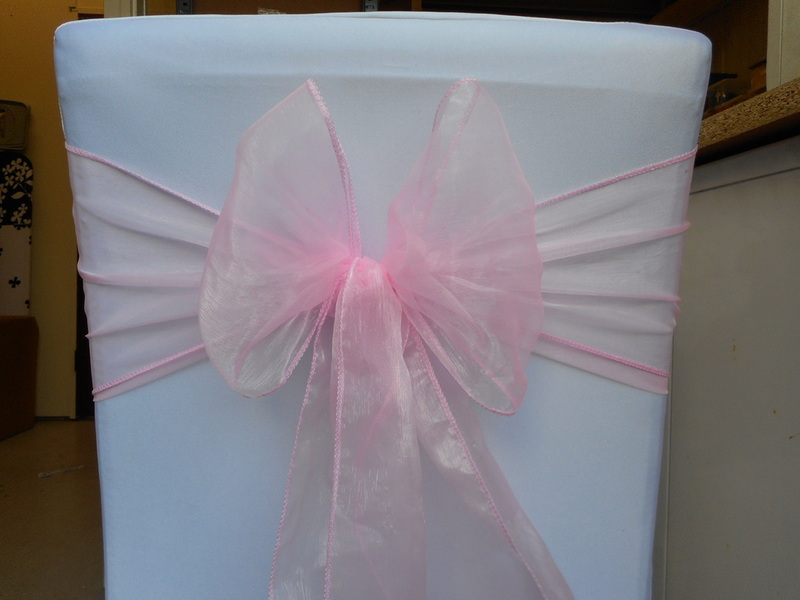 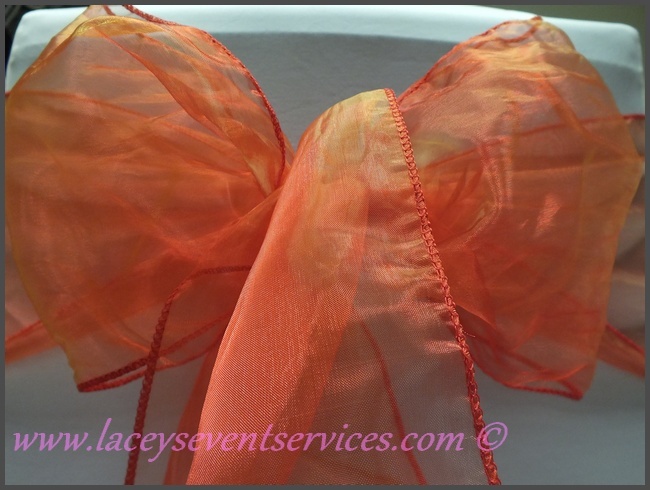 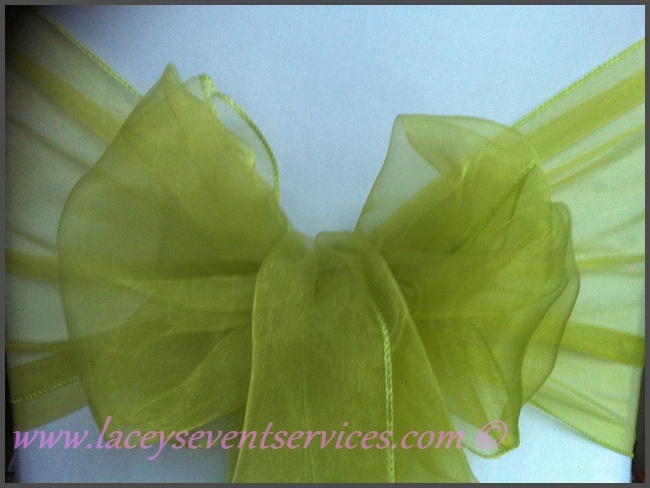 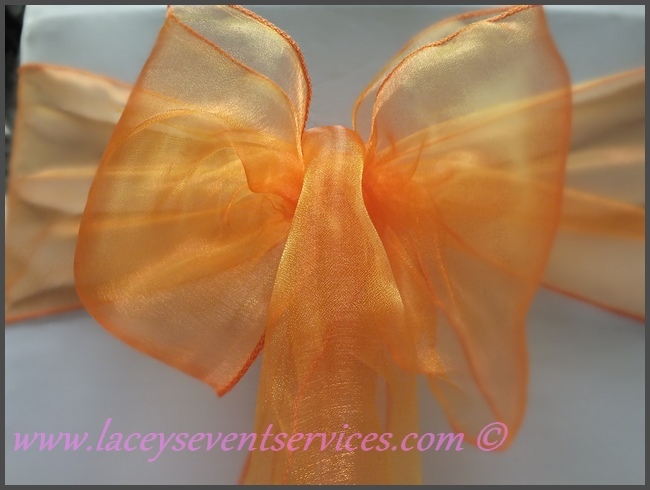 Chair sashes are a great addition to Wedding or Event Chair covers if you are looking to add a splash of colour into your decor! 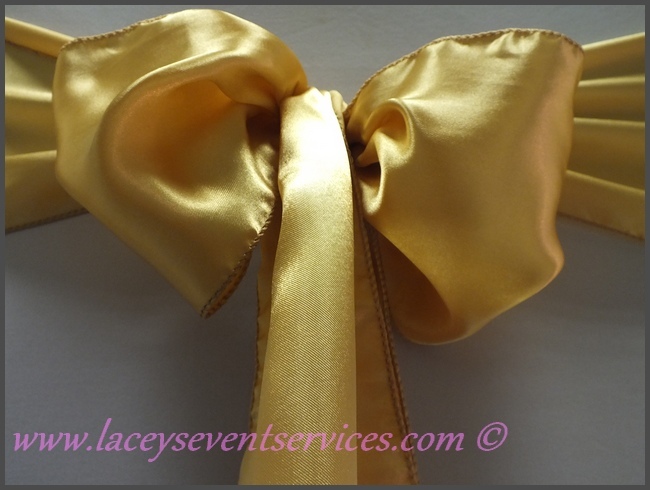 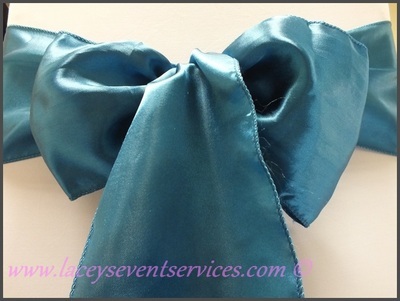 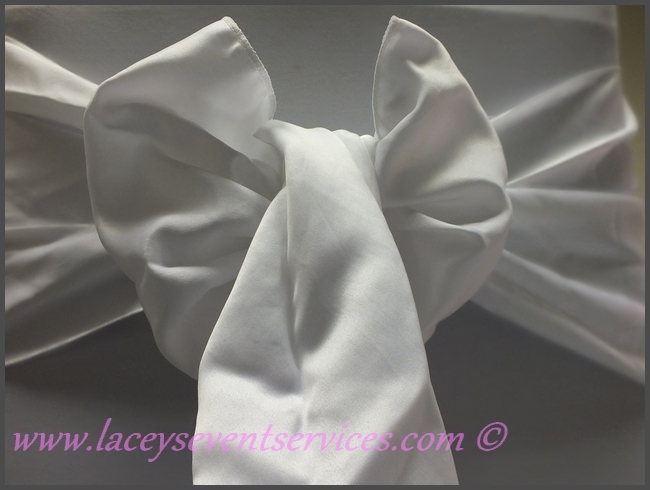 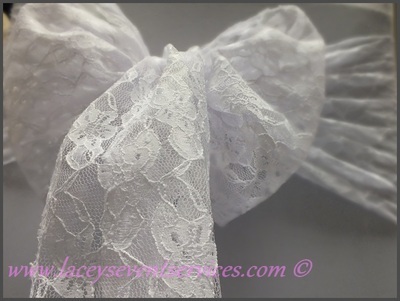 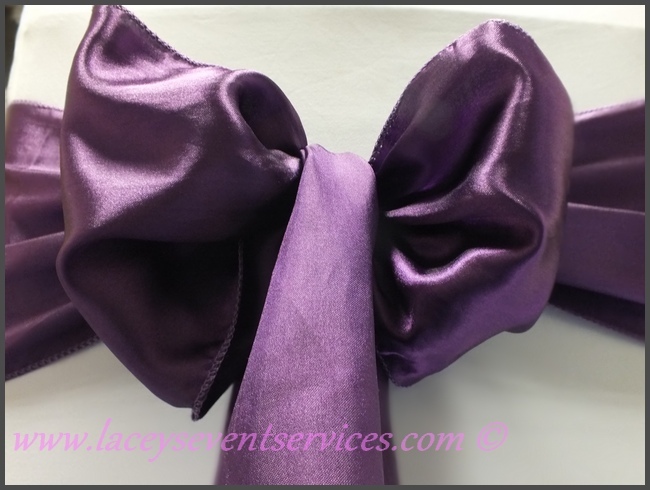 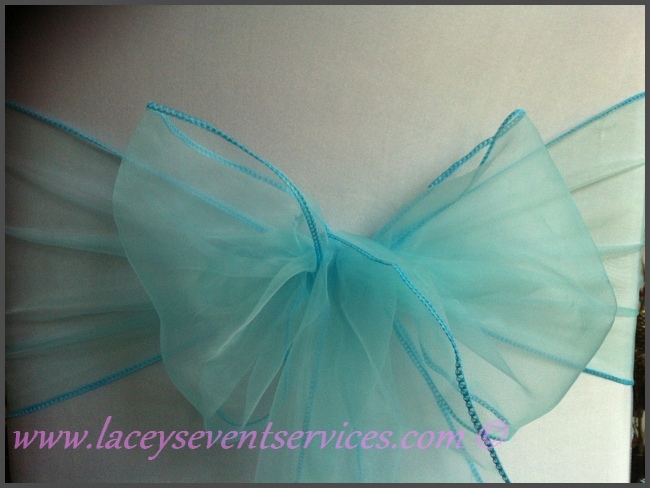 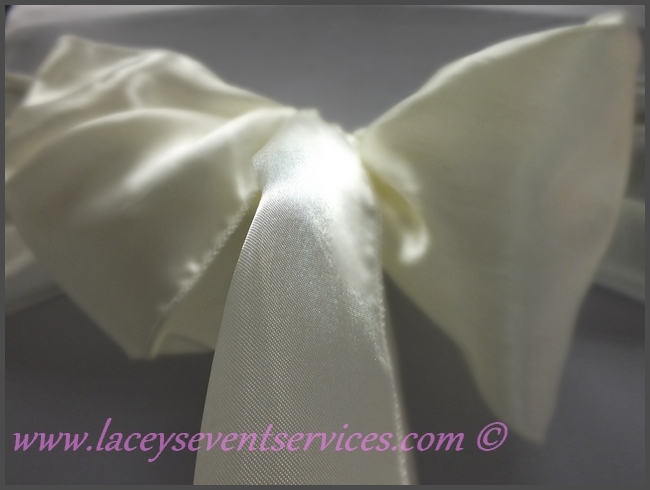 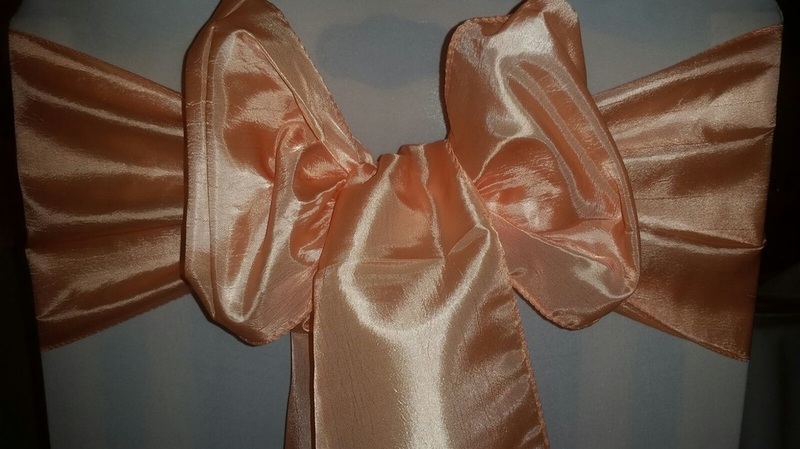 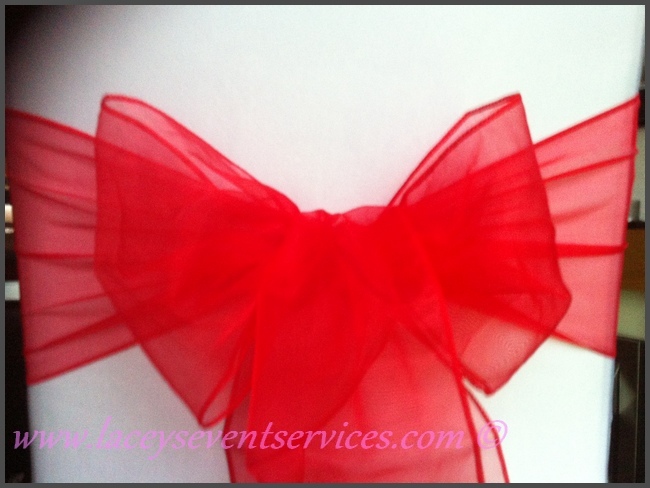 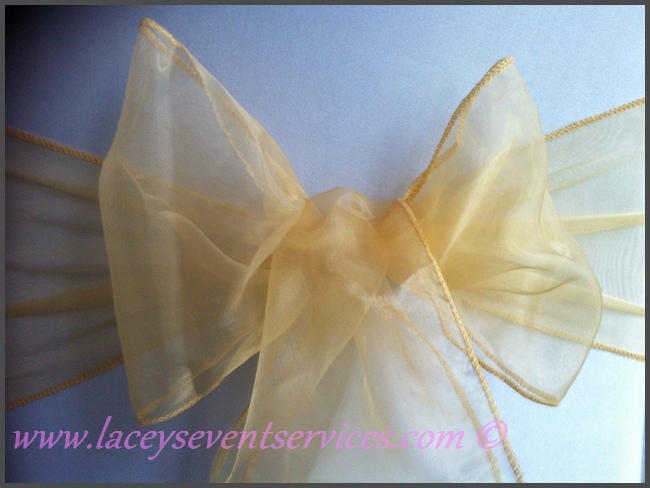 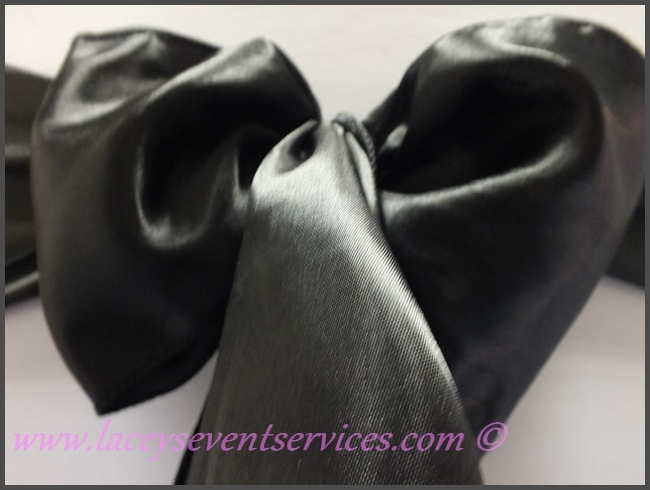 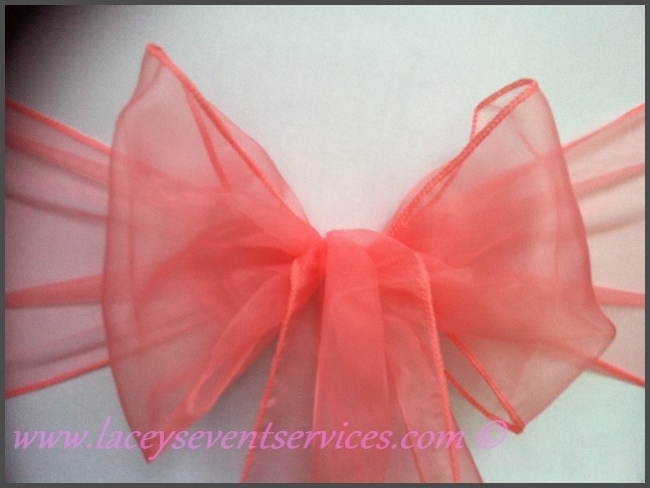 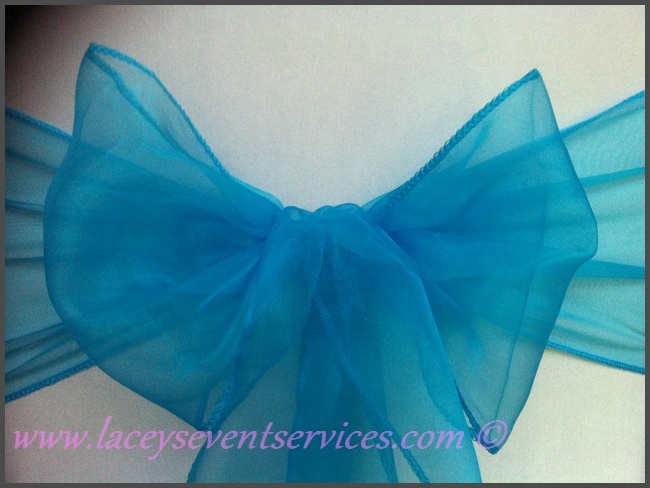 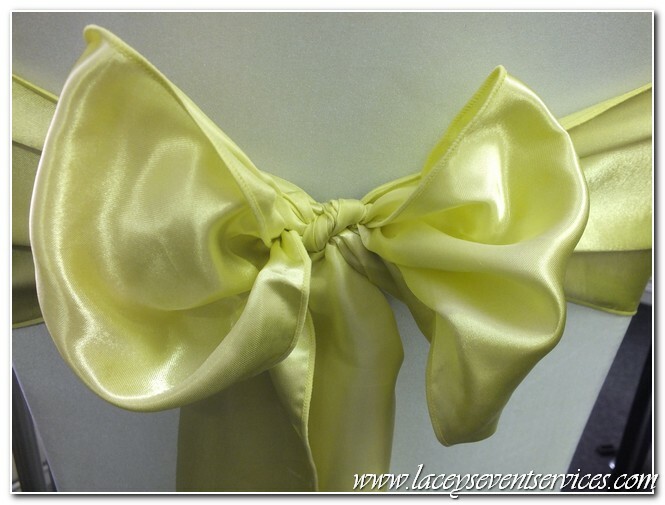 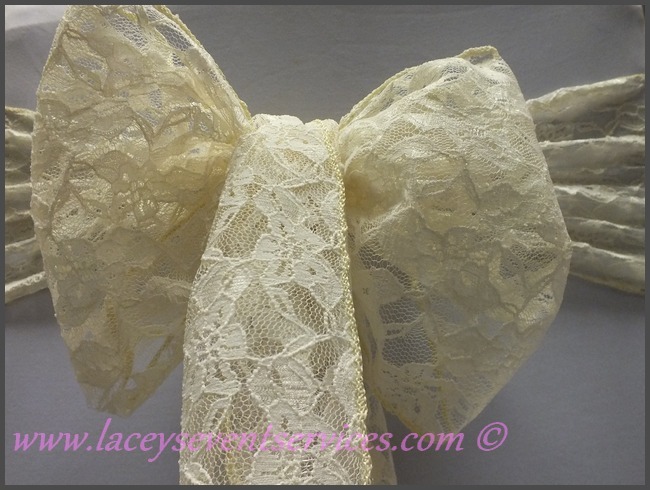 We have a range of ways the sashes can be tied as shown above if you are looking for something other than a standard wedding bow. 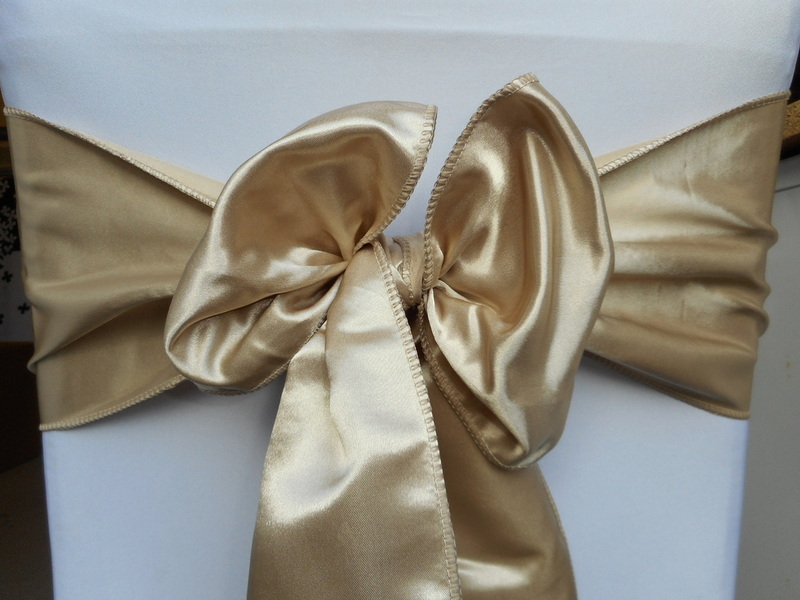 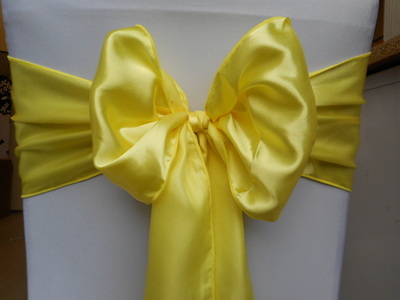 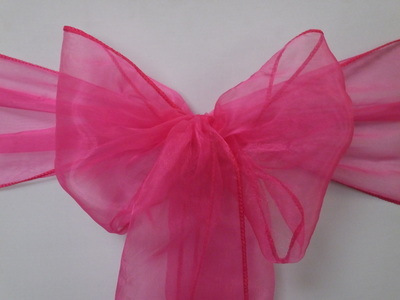 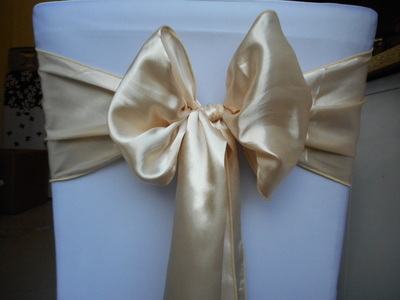 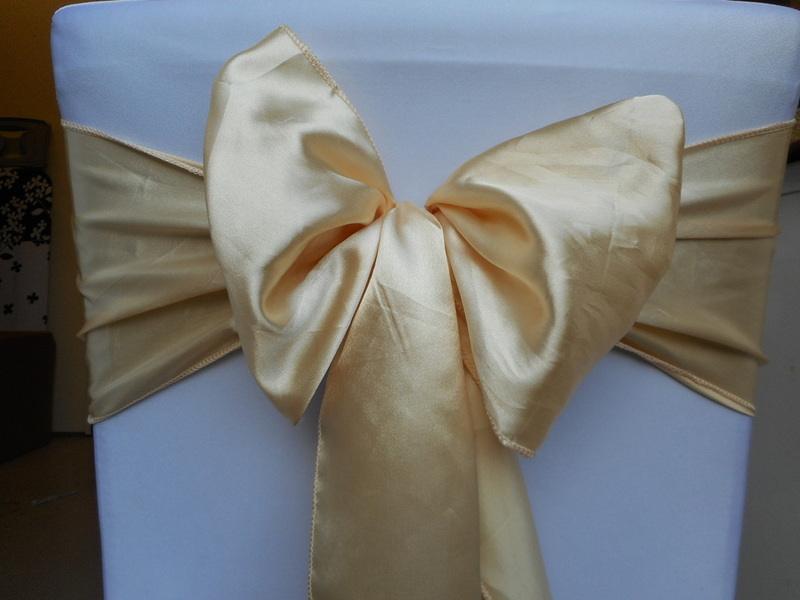 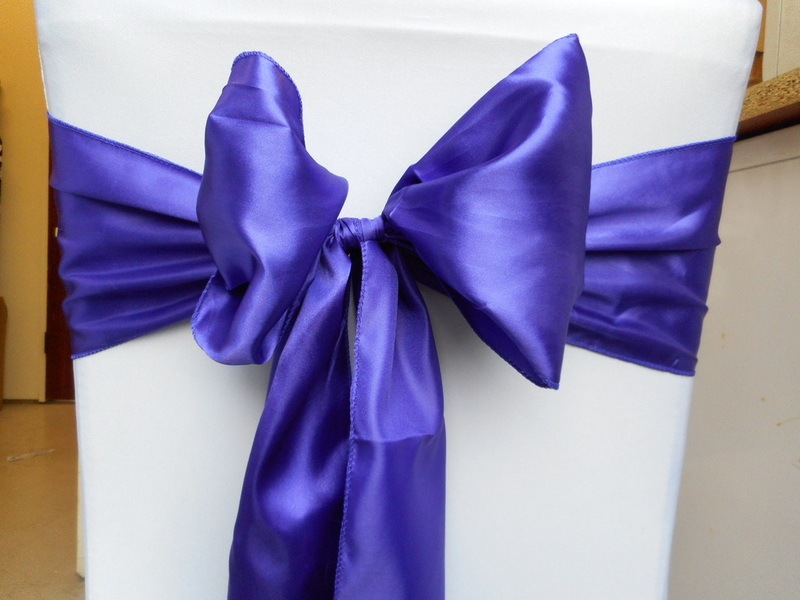 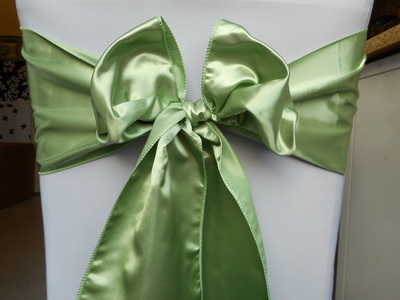 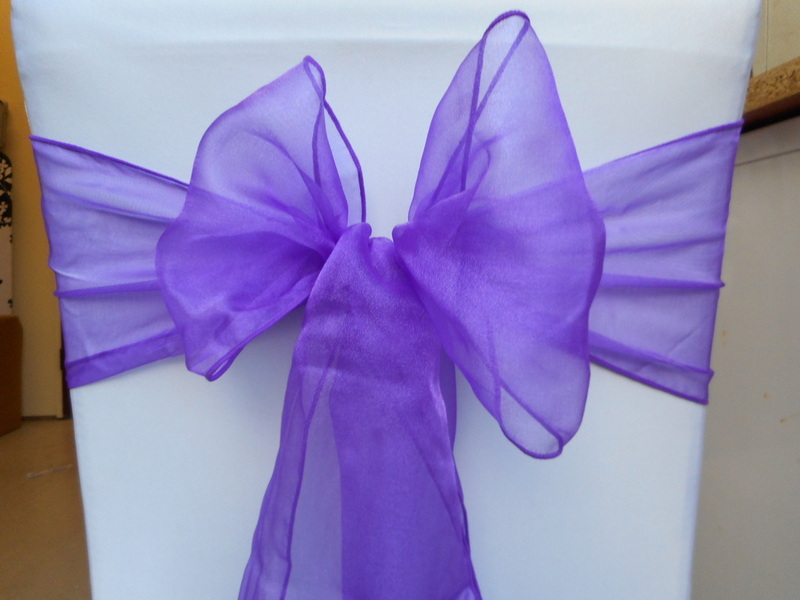 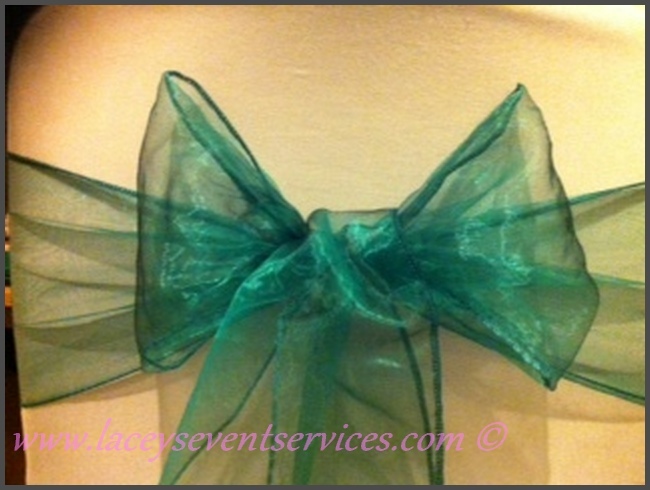 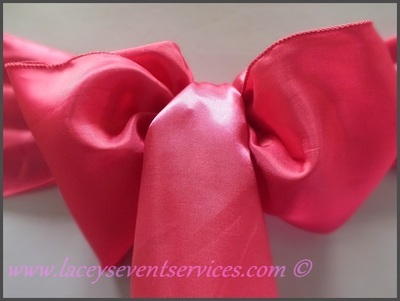 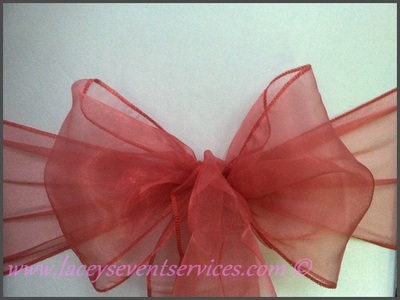 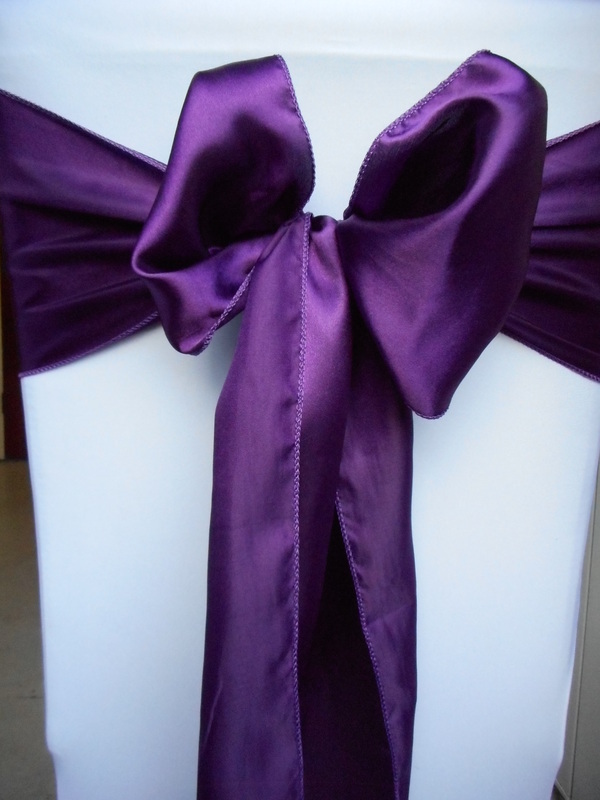 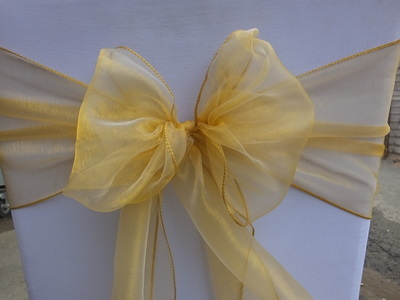 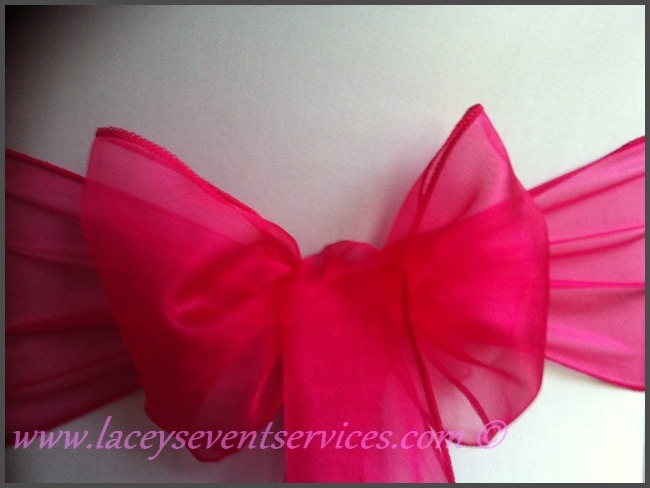 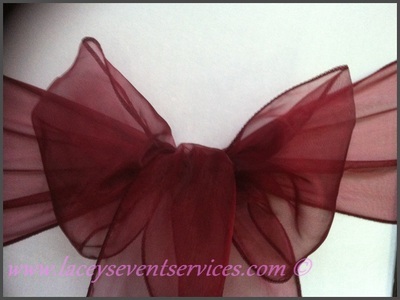 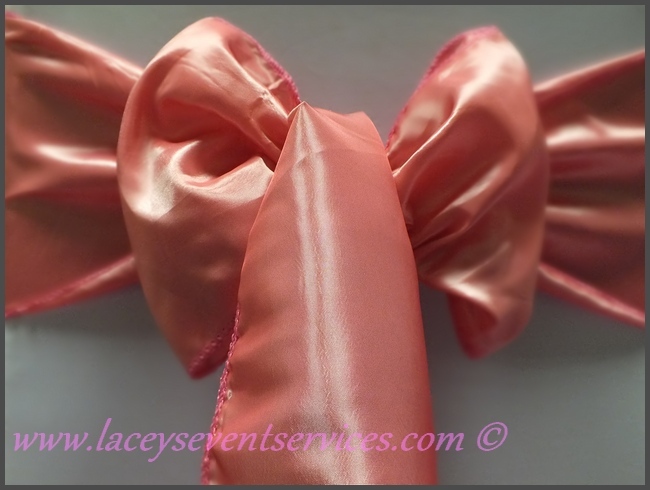 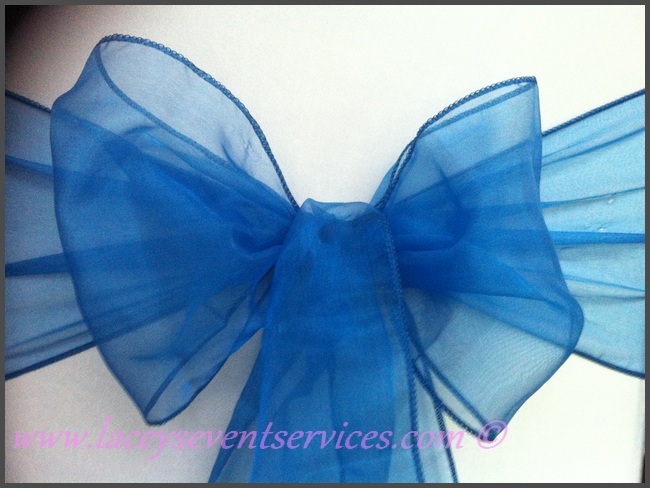 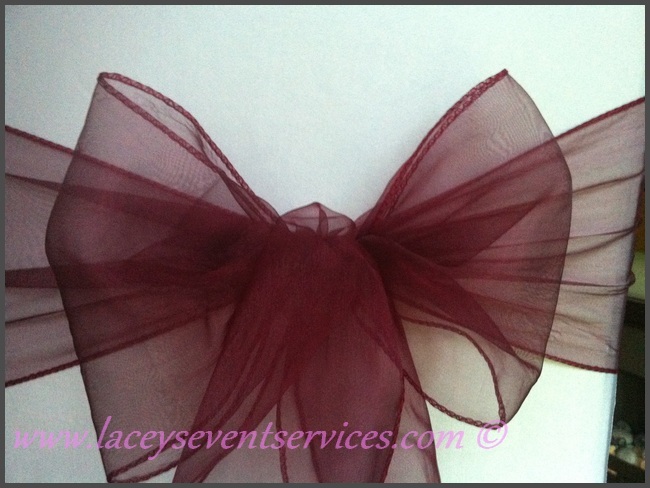 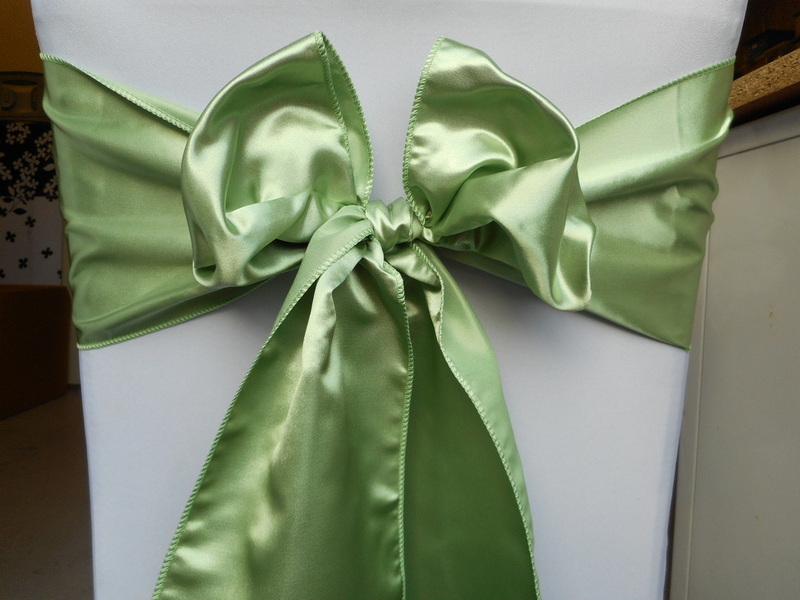 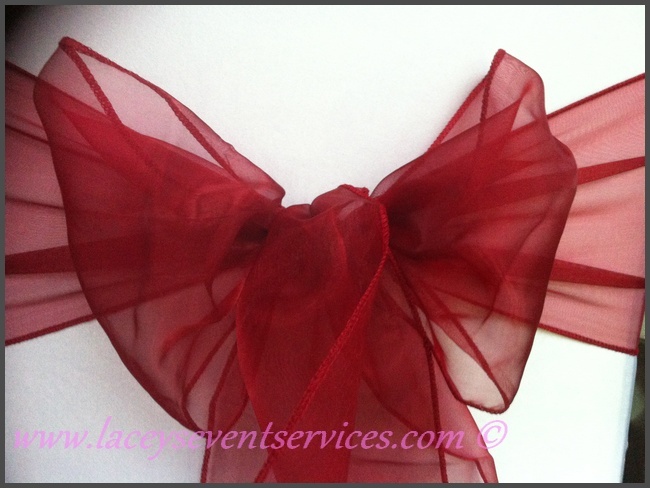 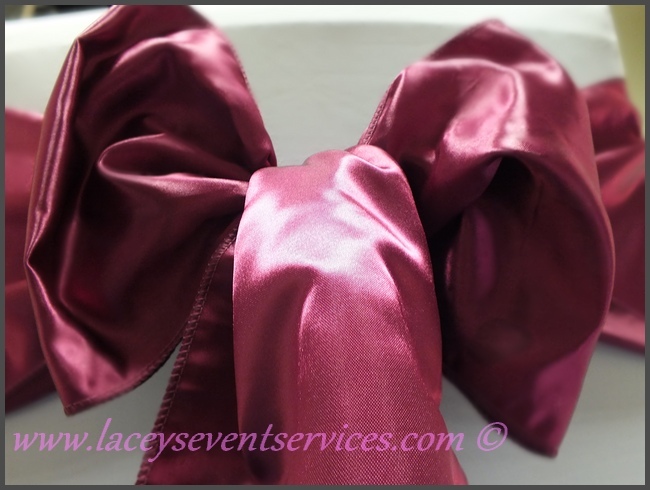 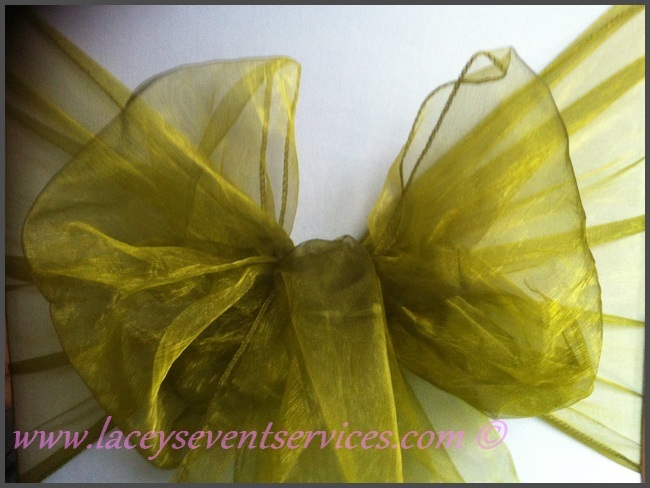 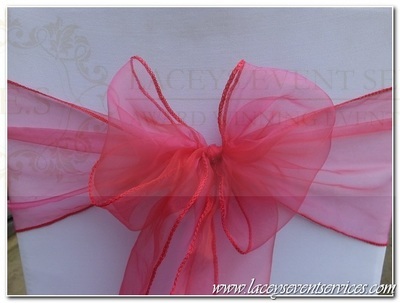 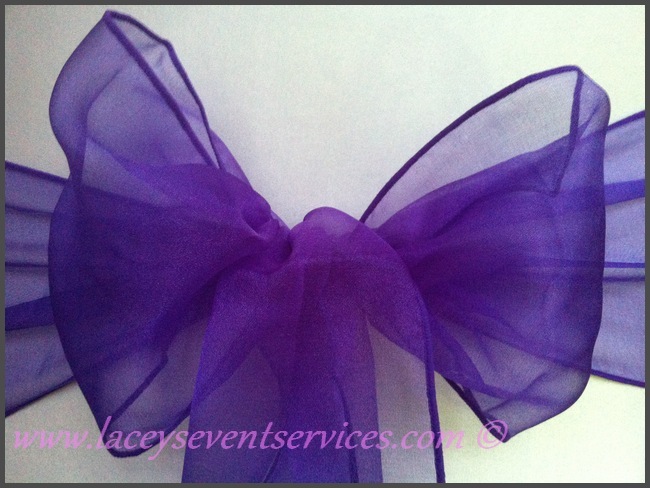 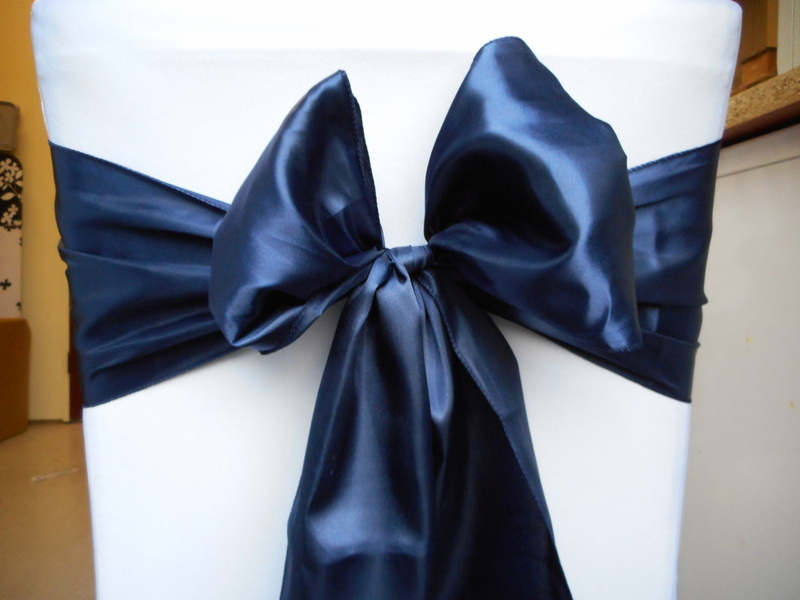 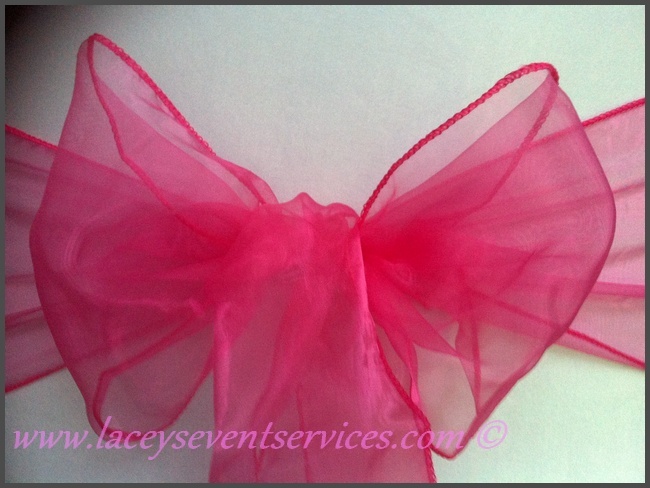 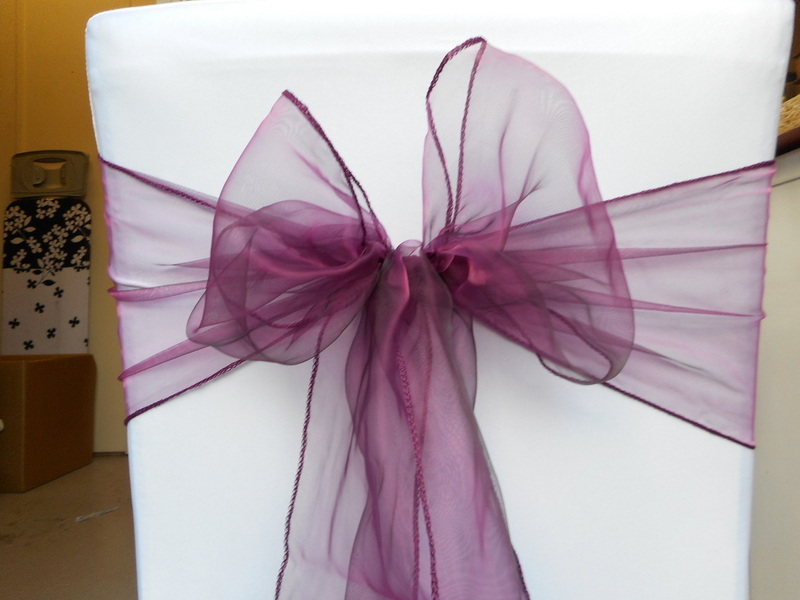 Some of the designs can be tricky if you are hoping to set up yourself but if you are using our delivery and set up service then we pride ourselves on our perfect Bows and have had many people book with us because they thought so too! 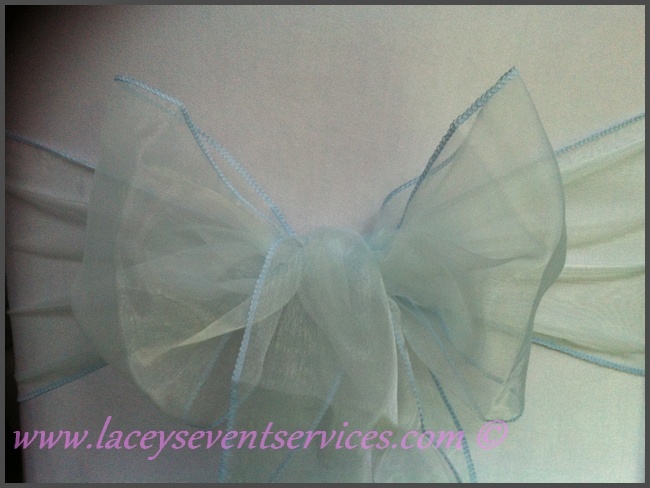 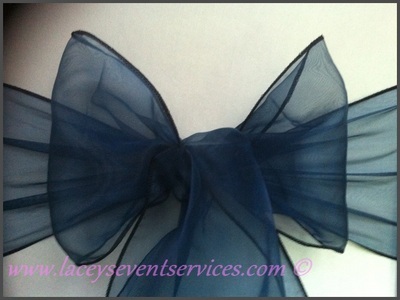 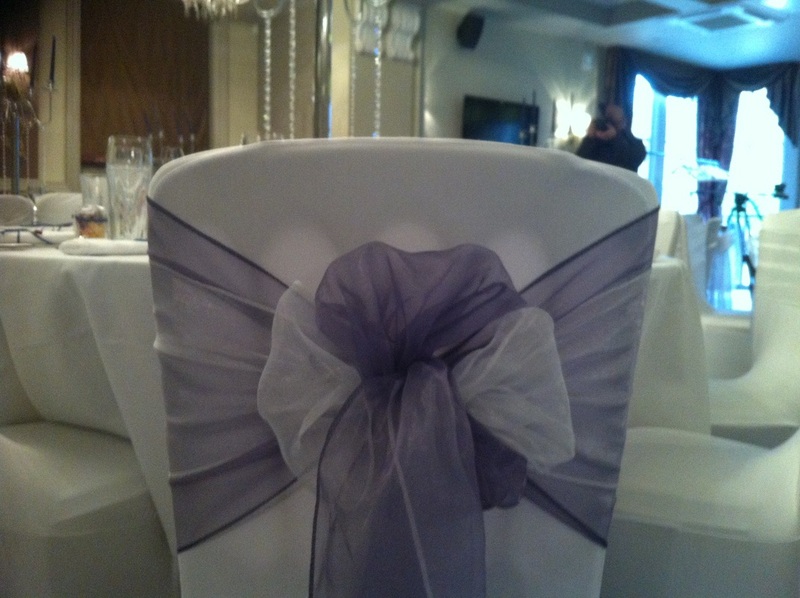 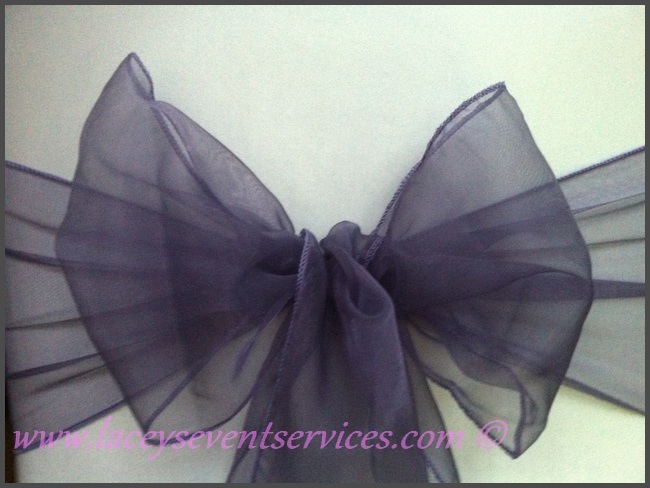 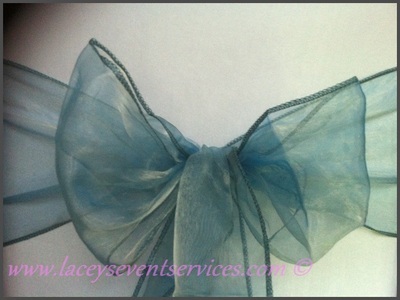 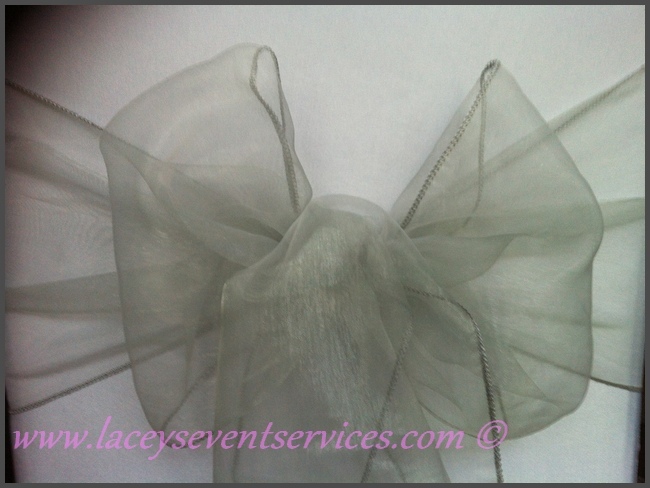 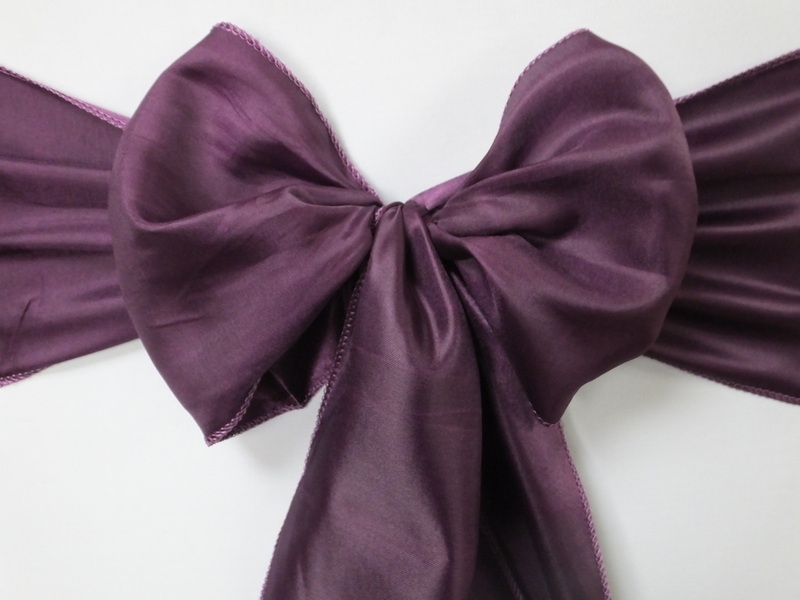 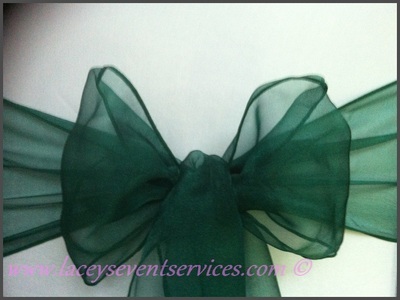 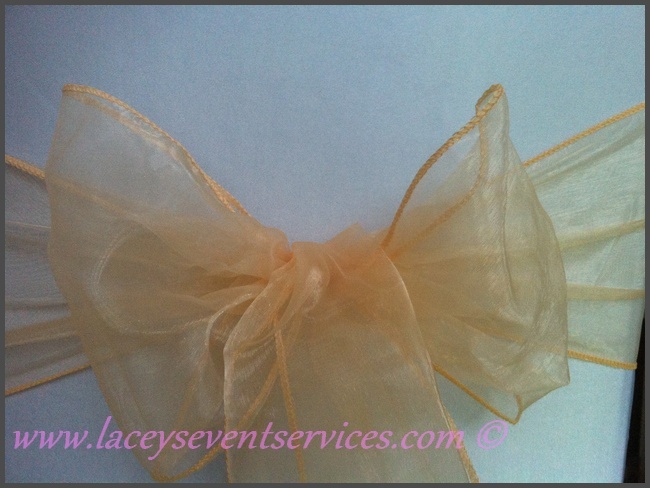 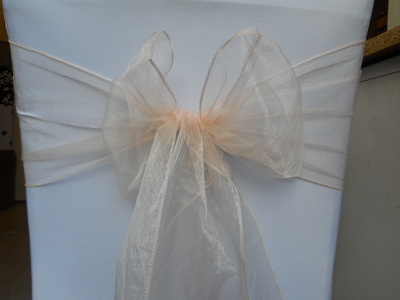 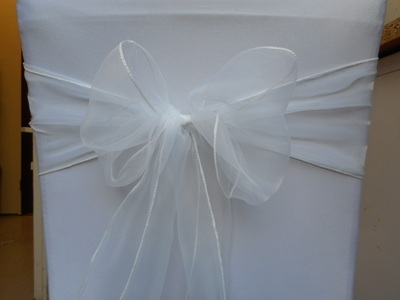 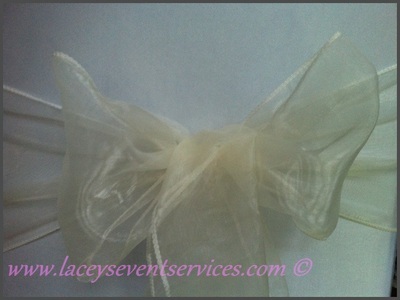 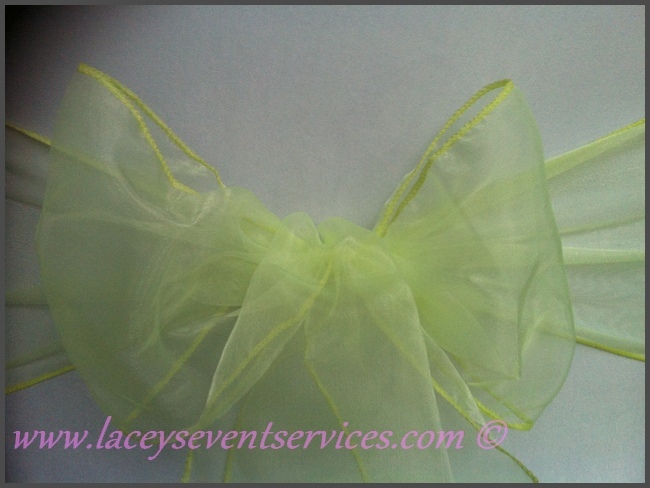 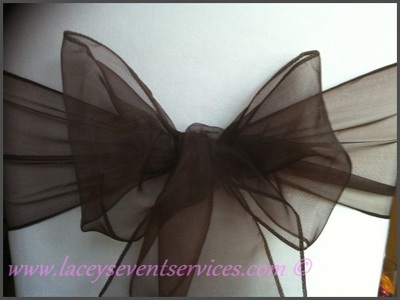 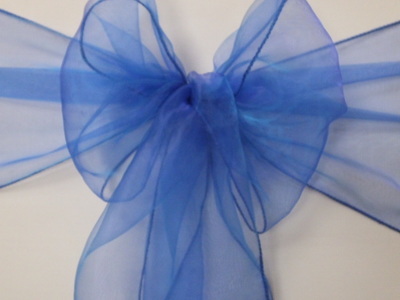 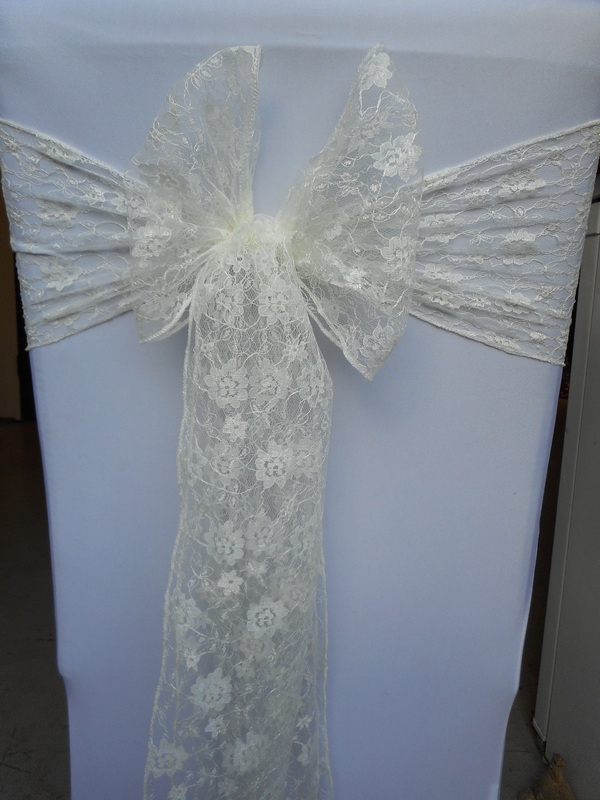 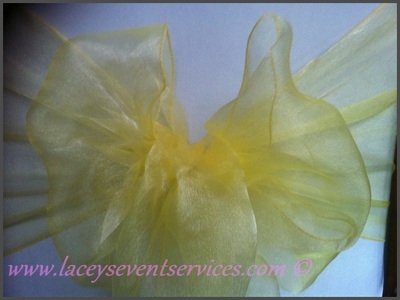 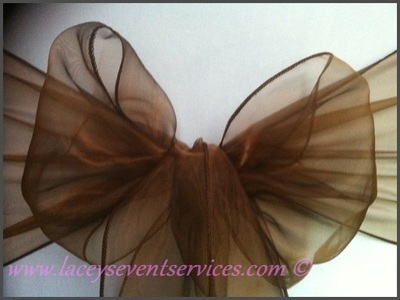 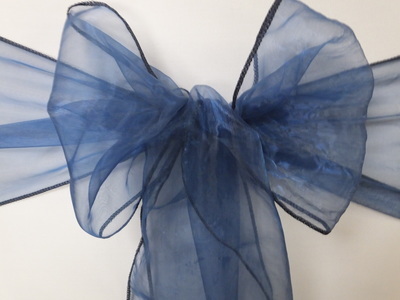 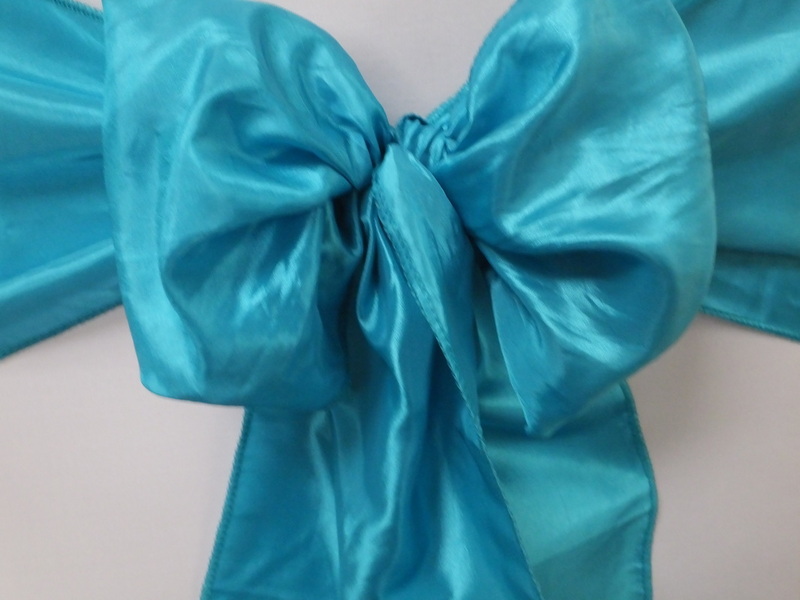 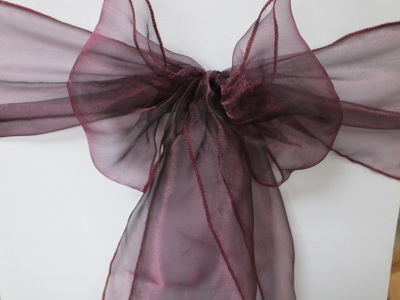 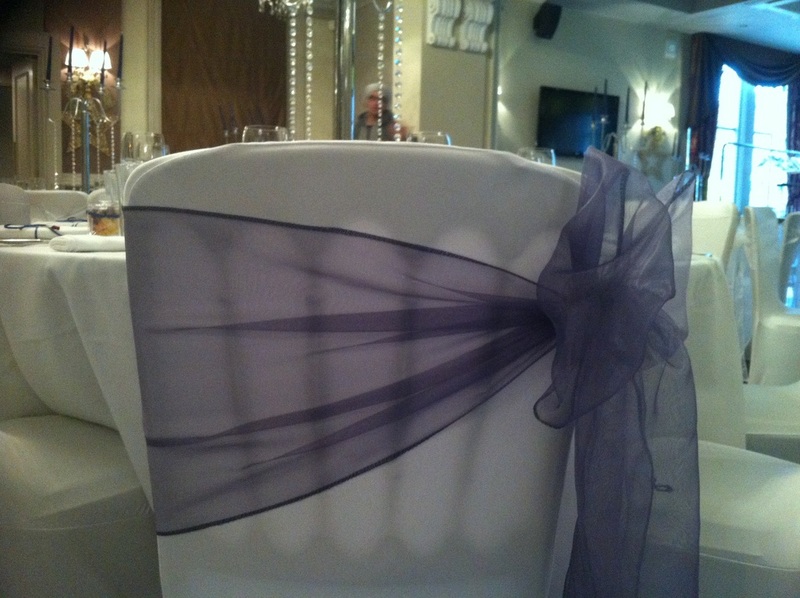 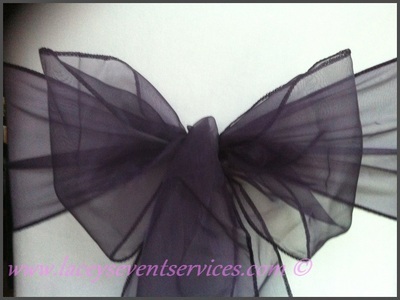 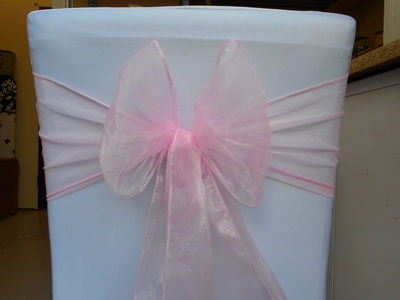 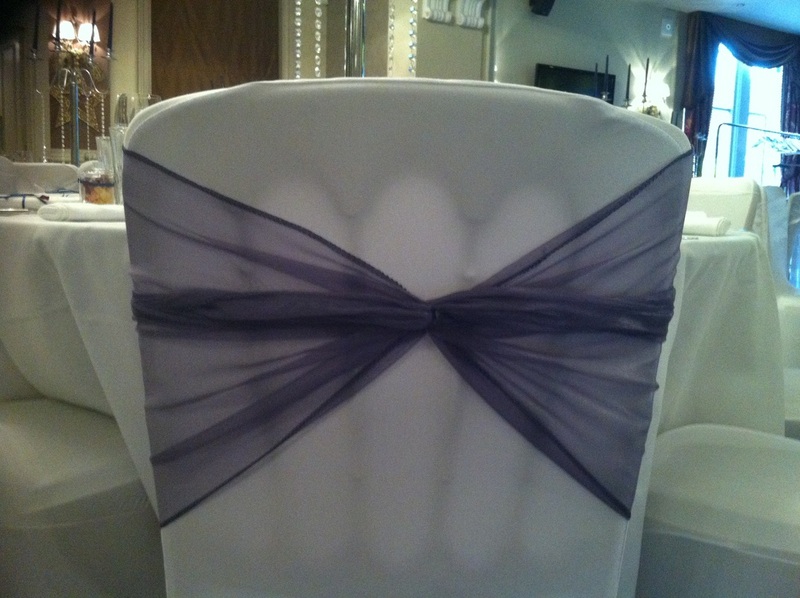 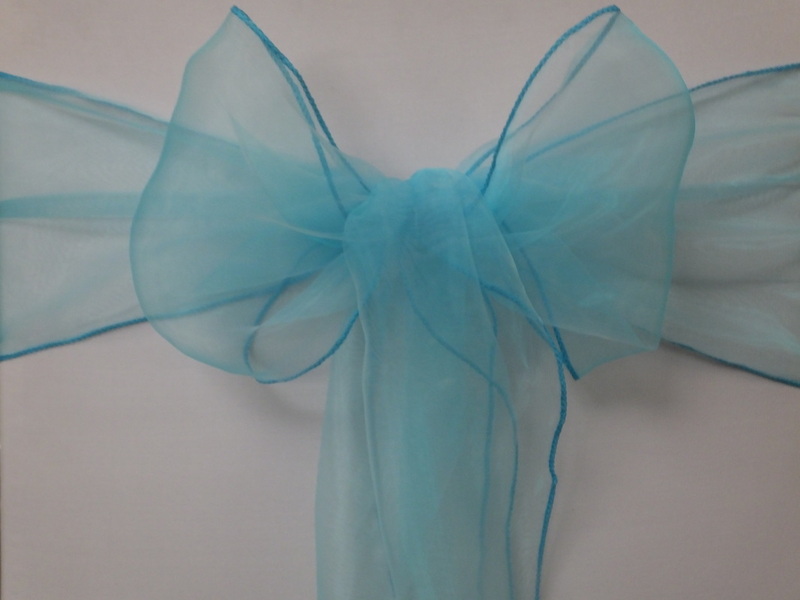 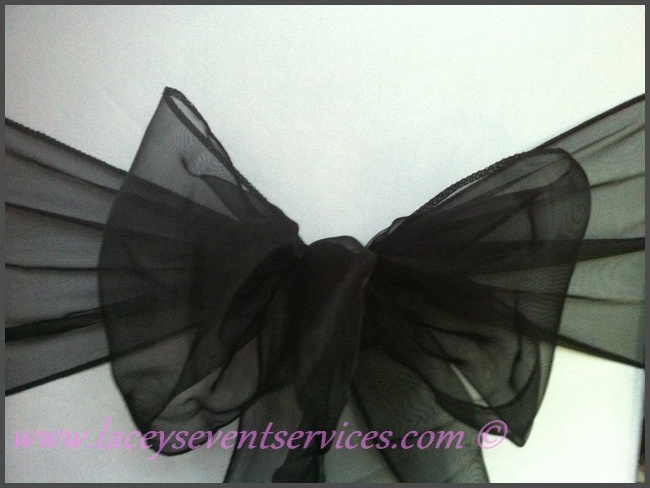 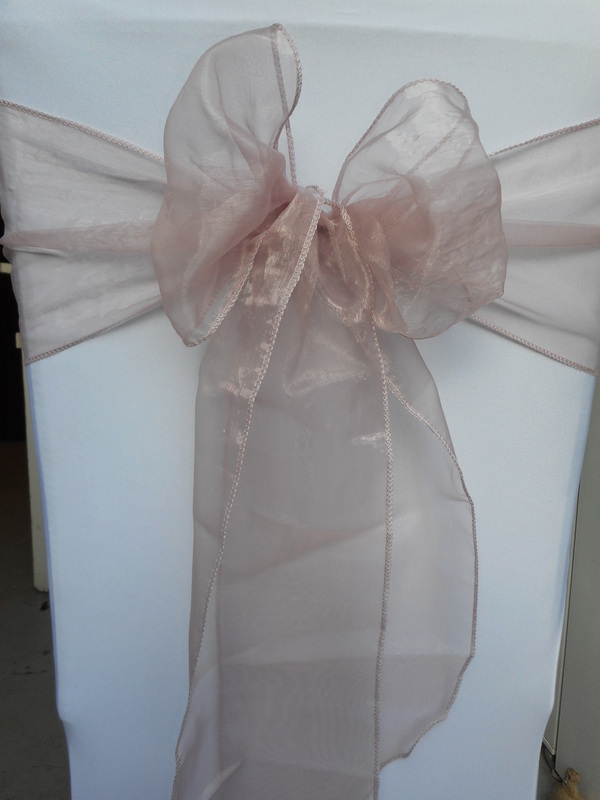 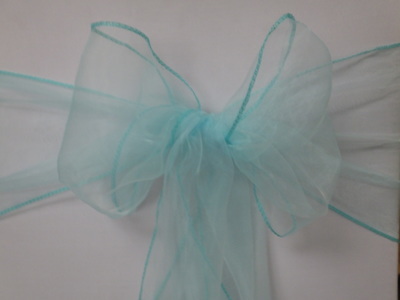 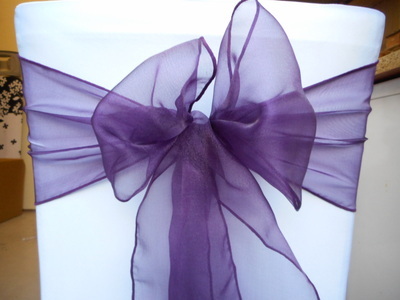 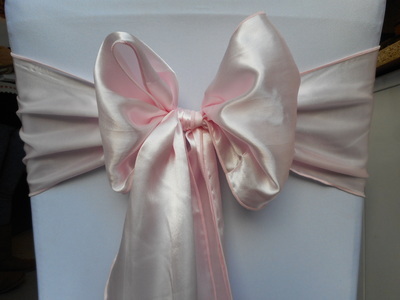 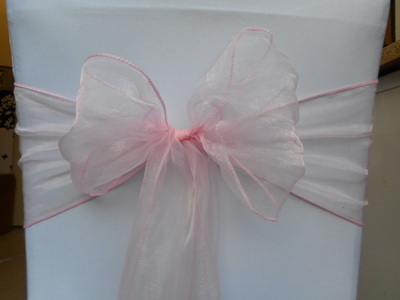 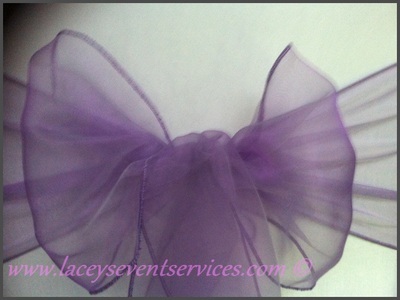 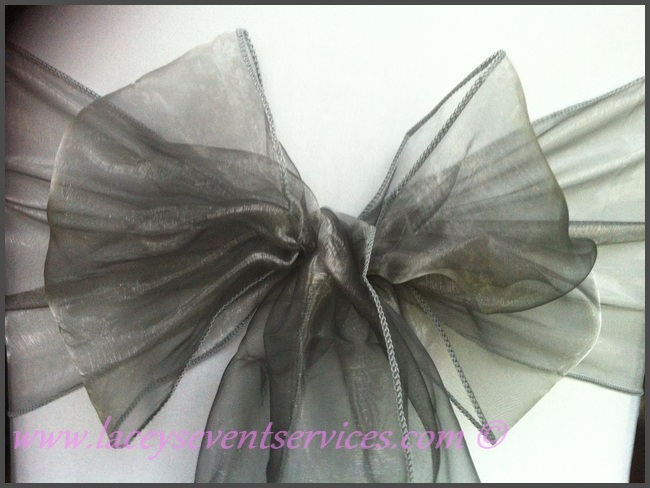 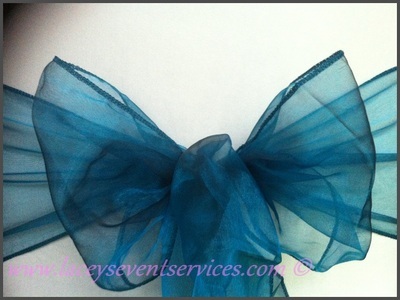 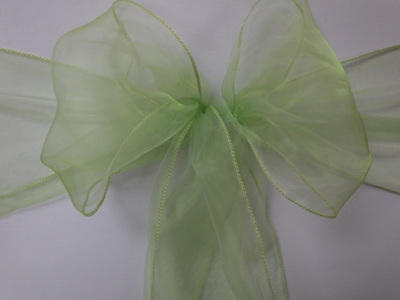 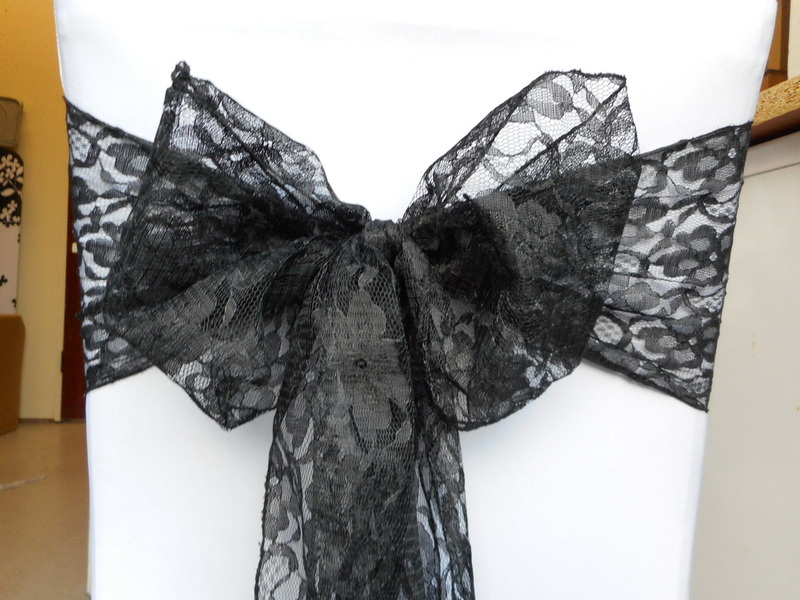 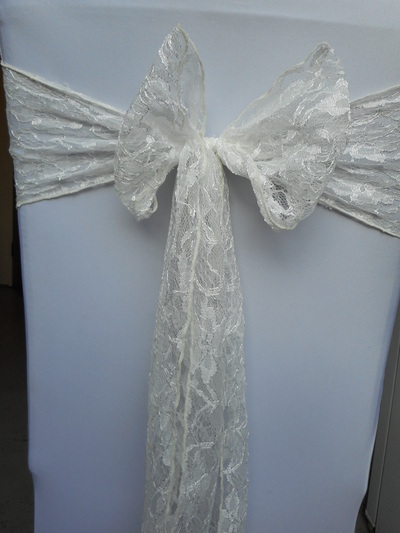 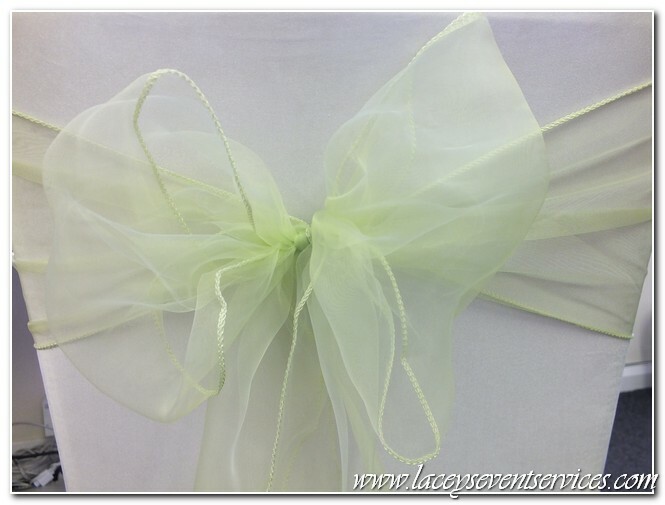 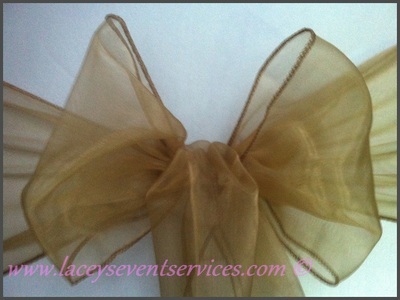 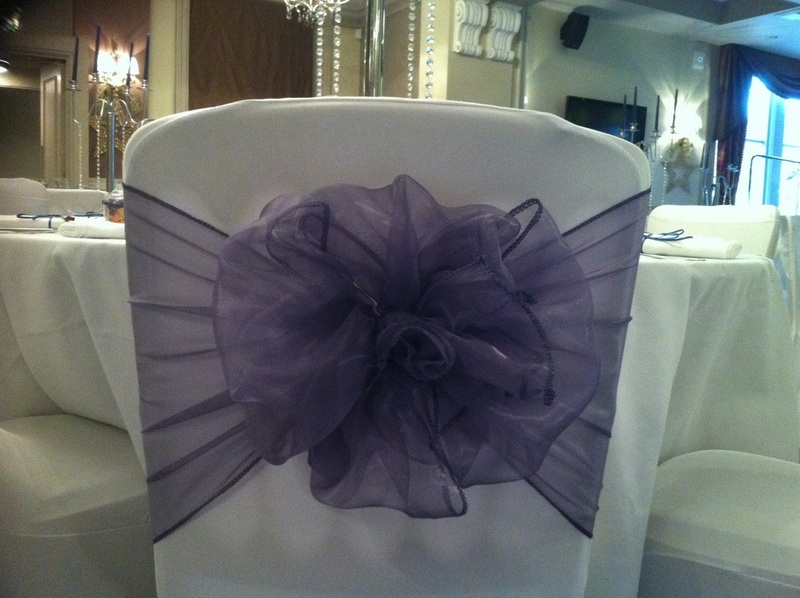 We stock a vast range of Colours in Organza sash, Tafetta Sash, Lace Sash and Chiffon Sash to suit all chair style. 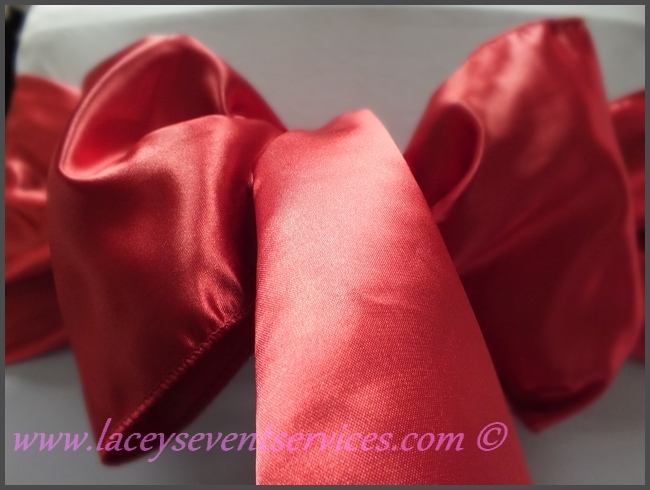 We also have a full collection of hoods and Ruffle Tails available click here.